Conceived by Charles Beard as a sequel to his provocative study of American Foreign Policy in the Making, 1932-1940, President Roosevelt and the Coming of the War outraged a nation, permanently damaging Beard's status as America's most influential historian.Beard's main argument is that both Democratic and Republican leaders, but Roosevelt above all, worked quietly in 1940 and 1941 to insinuate the United States into the Second World War. 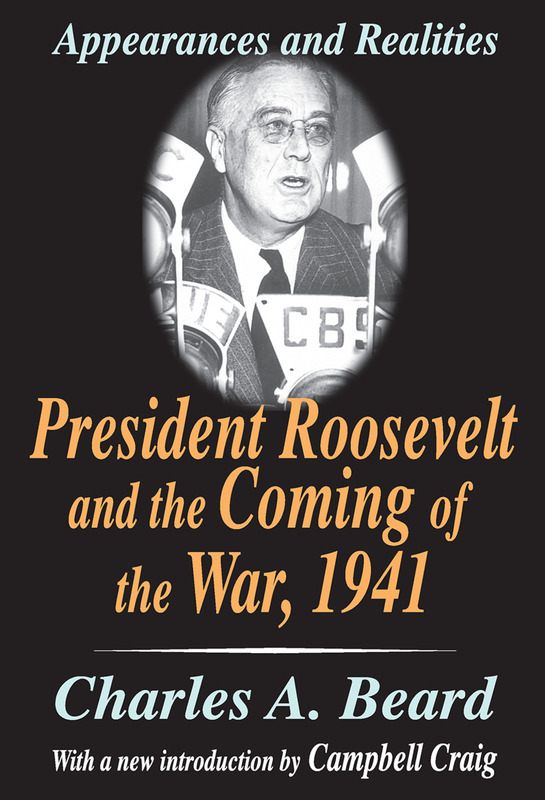 Basing his work on available congressional records and administrative reports, Beard concludes that FDR's image as a neutral, peace-loving leader was a smokescreen, behind which he planned for war against Germany and Japan even well before the attack on Pearl Harbor.Beard contends that the distinction between aiding allies in Europe like Great Britain and maintaining strict neutrality with respect to nations like Germany and Japan was untenable. Beard does not argue that all nations were alike, or that some did and others did not merit American support, but rather that Roosevelt chose to aid Great Britain secretly and unconstitutionally rather than making the case to the American public. President Roosevelt shifted from a policy of neutrality to one of armed intervention, but he did so without surrendering the appearance, the fiction of neutrality. This core argument makes the work no less explosive in 2003 than it was when first issued in 1948.